Excursion registration is now closed. If you would still like to participate, please contact us as conference@icahm.icomos.org. A pre-conference tour has been organized in Zanzibar. 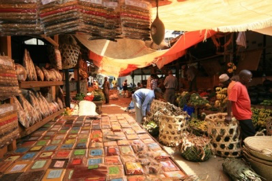 During this three day tour you will visit Stone Town, go on a Spice Tour and visit most of Zanzibar's Historical sites. Please find the detailed itinerary below. An English speaking guide will accompany you during the entire excursion. 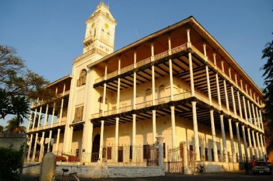 In the early afternoon one of ICAHM's experts will accompany you on a tour through Stone Town, also known as Mji Mkongwe (Swahili for "old town"). Stone Town is a UNESCO World Heritage Site since 2000. Zanzibar's Stone Town not only captivates us with its natural beauty, but also with its rich tangible and intangible heritage resources. It is a gateway to the world in the past: it is described in historical writings, and archaeological discoveries link it not only with the Middle East and the Far East (South and Southeast Asia), but also with Africa's vast hinterlands and communities. Because of this, it still serves the role of a vibrant island city that is a doorway to the rest of the world. After the visit to Stone Town you will go on a spice tour. This tour will take you to the farmlands just outside Stone Town. there you will see, smell and taste aromatic plants and herbs growing wild or cultivated in kitchen gardens. 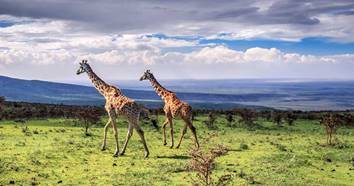 The expert guided tour is a great way to see the countryside around Stone Town! In the evening there will be a group dinner. The Zanzibar trade can be thought of in two types: transit trade, which brought ivory, slaves, and copal from the interior of Africa to the coast, and plantation trade, largely of cloves and other spices. Plantation trade grew to be the dominant type in the nineteenth century. Omanis were involved in trade along the East African coast for centuries. As the preeminent scholar of Stone Town, Abdul Sheriff, puts it, they became "indigenized" but retained their international connections. 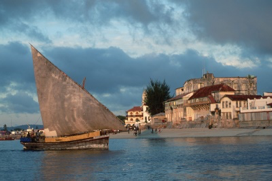 As residents amassed immense wealth, they constructed the most notable structures in Stone Town and on Zanzibar. In the morning we will visit Kuumbi Cav on the southeast coast of Zanzibar. It is the earliest known archaeological site on the island, dating from the Late Iron Age back to almost 20,000 years ago. In the last decade or so, the site has been test excavated by Tanzanian and foreign archaeologists. 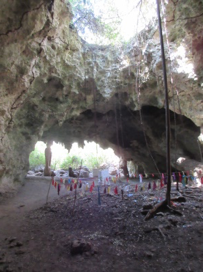 Research shows the use of a range of animal and plant life (some now extinct on the island), interaction with Indian Ocean networks, and evidence for the early Holocene separation of Zanzibar from mainland East Africa. A small museum displays select finds from investigations. Nearby Stone Town, Pange Sandbar and its fringing reef offer opportunities to enjoy the natural heritage of Zanzibar. 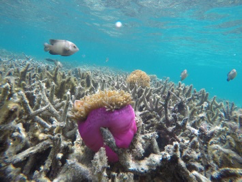 The location is ideal for snorkeling and viewing marine life. An array of fish species and marine invertebrates populate the vicinity. Local fishermen visit the reef daily to harvest fish and mollusks. Return to Bagamoyo for the conference that starts on 2 October.